A study recently published in JAMA Internal Medicine casts doubts on the commonly held belief that addition of screening ultrasound to screening mammography improves the rate of breast cancer detection. It is well known that mammograms do not pick up all breast cancers. In the approximately 40% of women who undergo screening mammography who have dense breasts, mammograms may miss up to 40-50% of breast cancers. Several previously published studies have noted that supplementing mammography with screening ultrasound can detect an additional 2-5 breast cancers per 1000 scans. There is no data on whether or not the outcomes (such as survival) of these patients are improved. The recently published study used two Breast Cancer Surveillance Consortium registries. These registries collected prospective data on screening mammography with or without same-day breast ultrasound. The data collection period was from January 2000 – December 2013. Approximately 6000 screening mammography + same-day screening ultrasounds (SM + US) in 3386 women were matched to 30,000 screening mammograms (SM) without same-day screening ultrasounds in 15,000 women. Women from the 2 registries were matched by age, year of exam, race / ethnicity, menopausal status, first degree relative with breast cancer, time since last mammogram, breast density, and prior history of a benign biopsy. Not surprisingly, the authors found that SM + US was more often performed in women with dense breasts, in those under the age of 50, and in patients with a family history of breast cancer. Approximately 54% of the patients who underwent SM + US were considered to be “low” or “average” risk for breast cancer based on risk assessment calculations. The breast cancer detection rate in both groups (SM + US and SM alone) was essentially identical – 5.4 vs 5.5 breast cancers detected per 1000 screening exams. Most of the breast cancers detected were invasive ductal, less than 2cm, lymph node negative, and estrogen / progesterone receptor positive. SM + US resulted in higher false positive biopsy rates (52 versus 22 per 1000 screens) and more often a recommendation for additional, short-term follow up for “probably benign” findings (3.9% vs 1.1%) compared with SM alone. The authors noted some limitations of their study include lack of information on the experience and expertise of the ultrasonographers, lack of information on whether or not patients underwent hand-held or automated breast ultrasound, and the possibility of misclassification of some studies, which they estimated at 4.3%. 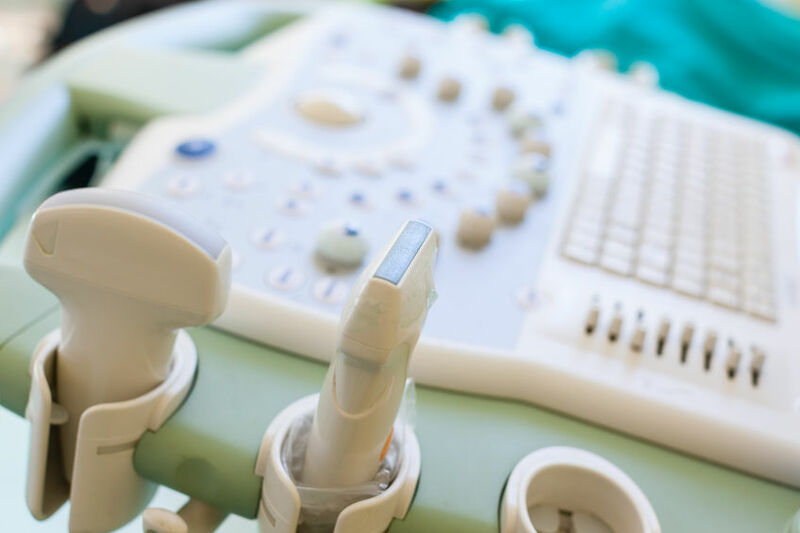 They recommended that additional studies should be performed to more accurately identify which women will benefit from supplemental screening ultrasound. It is important to note that this is a single study, with findings contradictory to other studies, so I am not recommending that we abandon screening ultrasound based on these results. As with all other aspects of breast cancer screening, there is no “one size fits all” approach for the individual patient.